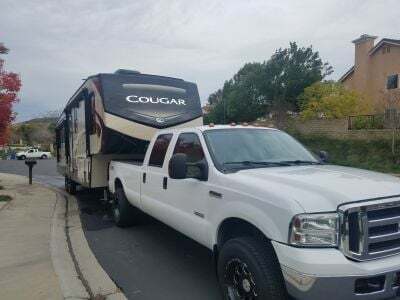 There is so much to do inside and out when you're traveling with the 2020 Keystone Cougar 368MBI! 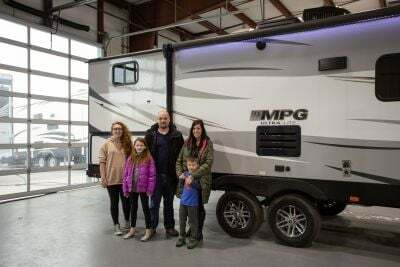 There are an abundance of campground amenities that come with this 5th Wheel! You'll find this model and other quality RVs from the nation's top brands at Lakeshore RV Center! We're number one in RV sales and services, with the nation's lowest prices on the most popular RVs in North America! We're located at 4500 E Apple Ave Muskegon Michigan 49442, but even if you don't live near Michigan we can still bring your RV to you with our 24/7 nationwide delivery! Give us a call at 231-788-2040 to start your road to RV fun today! This handsome 5th Wheel is 39' 4" long, 8' 0" wide, with a hitch weight of 1980 lbs. 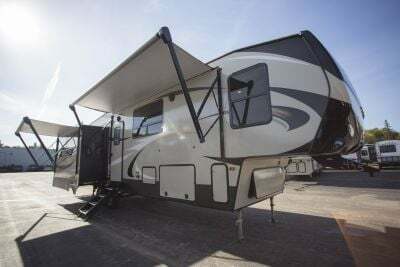 The 16' 0" patio awning opens easily so you can relax outdoors in shade and comfort, and the sturdy GVWR of lbs means this RV will provide you with years of camping fun! 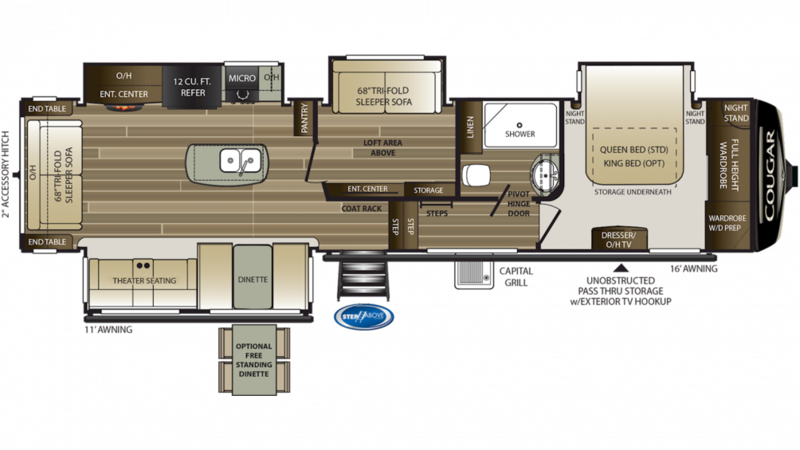 Enjoy extra legroom inside this 39' 4" long, 8' 0" wide 5th Wheel. There's even more space inside the living area when you slide out the 4 slides! At 12' 7" tall, you won't have to worry about bumping your head whenever you stand up! The 35000 BTU furnace and the 15000 BTU a/c unit keep the interior's temperature stable, even if the weather outside is extreme! There are a total of 4 slides, so you'll receive extra space inside this 39' 4" long, 8' 0" wide RV when you set up camp! With its height of 12' 7", you'll be able to walk around freely without having to crouch! The interior's temperature remains comfortable and stable no matter how wild the weather may be outside, thanks to the 35000 BTU furnace and the 15000 BTU a/c unit! Have a home-on-wheels cooked meal with the kitchen of this 2020 Keystone Cougar 368MBI! The 81 gallon freshwater tank provides enough clean water for cooking, drinking, and cleaning! Store more food with the 12.00 cu. ft. refrigerator. Cooking is easier with the 3 burner range cooktop. You can enjoy fresh, healthy meals wherever you travel! The kitchen has a 12.00 cu. ft. refrigerator, 3 burner range cooktop, and more! Enjoy clean drinking water during the entire trip with the 81 gallon fresh water tank! If it's chilly outside, and the cold is seeping in, warm up the interior without wasting gas with the fireplace! Your family will love huddling in and enjoying the cozy warmth of the dancing flames! This 5th Wheel has extra sleeping space up in the awesome loft area! Sleep easy in the comfortable and spacious bedding!